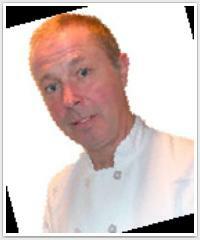 Welcome to Becool cooking classes with Johnscott! Would you like to try your hands on Shinjuku home style cooking class in Tokyo? Would you like to learn cooking while practicing your English as well? Meet new people and perhaps just to learn how to cook to surprise yourself or someone you care? Then look no further! You are landed just right! We run fun, communicative and excited cooking classes. Check out our schedule and menus of cooking classes and your next visit to Shinjuku cooking class promises to be delicious as well as enjoyful. You will have a home style cooking environment and individual attention from the chef himself talking to you in simple and plain English. You will learn how to cook and brush up your English language skills. Bcool cooking classes offer to its participants an opportunity to get their hands-on experience with a real chef who worked at famous Hollywood restaurant kitchens. Topics of menus range from California, Fusion and International cuisines to Thanksgiving and hors d'oeuvre preparation. You will Learn how to decorate birthday, christmas or any event cakes. You will obtain skills that also includes making sugar flowers and decorating wedding cakes. Bcool cooking classes are built around your interests. Topics range from healthy desserts to cooking for kids. Akila Inouye who has excellent skills for makinng soba and its related recipe, conducts his own world wide soba class in Tsukiji for both professionals and foodies. 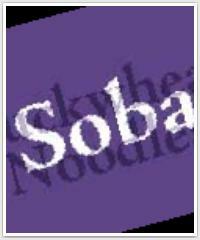 We offer various of hand made soba classes, sessions and events to meet your needs widely. Regular classes just for fun, private professional hands-on lessons to start your soba business, chartered soba events or classes are avilable. We use stone milled soba flour made from quality buckwheat crop and organic produced ingredients whenever available. Soba cuisine has enjoyed widespread popularity for over 400 years in Japan. Join us! 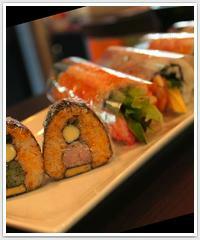 Do you like Sushi & Japanese Cuisine? Let's talk about Sushi & Japanese food! what kind of Sushi & Japanese cuisine are popular in your country? Any sushi courses during on Dec 28-30, 2013 in Tokyo? Thanks!